A monthly update about what's going on here at Paris West Optical, or the senseless, grammatically challenged ramblings from someone with too much free time. Maybe a little of both. Now in stock: New Etnia Barcelona and IGreen. 2 collections have already found their way through the blizzard(s) and into our cold trembling hands... one newcomer: IGreen (pictured above with the gratuitous beach shot)- available downtown and one old friend: Etnia Barcelona (pictured below)- available downtown and in Bel Air. so if you're brave then sled...I mean skate...I mean stop by and try a few on... our heat IS working. I promise. For over 23 years located in the historic Mt. Vernon section of Baltimore at 521 N. Charles St. (And now with an eyewear only boutique at 328 South Main St. in Bel Air Maryland). We are a full service international optical boutique. 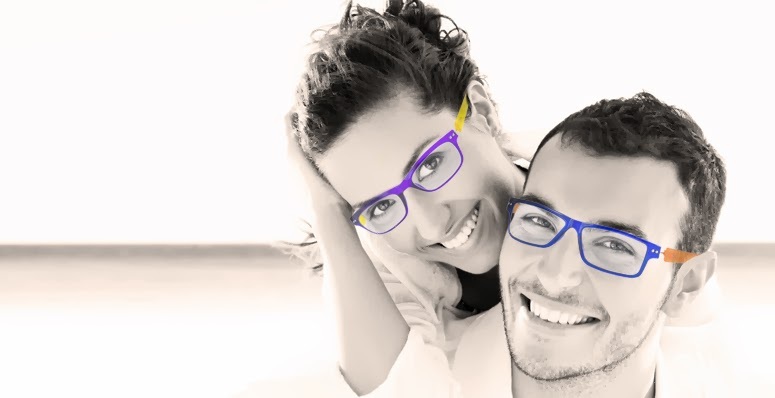 We do eye exams, contact lenses as well as carry an incredible inventory of exotic eyeglasses and sunglasses from the finest independent eyewear designers in the world. Voted "Best in Baltimore" by Baltimore Magazine, the Baltimore Sun and Baltimore City Paper numerous times. For more information, visit our FACEBOOK or INSTAGRAM pages or call (410)528-1877.